The brothers of Alpha Phi Alpha are doing big things this month. Bro. 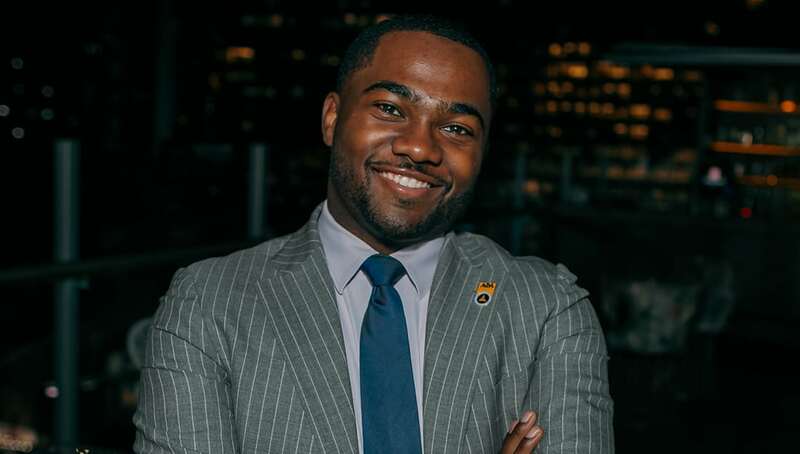 Riley Jones IV, a Fall 2016 initiate of Eta “The Jewel” Chapter of Alpha Phi Alpha Fraternity, Inc. was recently listed on the 2018 Forbes 30 Under 30 List in their category for Social Entrepreneurship. Each year Forbes highlights entrepreneurs who are under 30 across the US and Canada who are trailblazers in their respective industries. Bro. Jones IV is the co-founder of an organization called “Bloc”, @our_bloc which was developed to reduce the unemployment rate for college graduates of color. “Its web platform, which includes three proprietary tools (smart resume template, resume reviewer and cover letter generator), allows career coaches to be more impactful by using AI. Bloc is also integrated with Indeed and The Muse, and has worked with colleges and universities like Morehouse, City University of New York and Georgia State University.” Forbes stated in its write-up about Jones and his cofounder Amina Yamusah. A South Side Chicago native and a 2017 graduate of Columbia University, Jones is currently a 2L at NYU School of Law. We at Watch The Yard would like to celebrate Jones on his achievement. He definitely is making his chapter and fraternity brothers extremely proud.